That’s right, it’s that time of the year when gym gets extra crowded until mid-February. It's also the time of resolving to better ourselves. In my own experience of goal chasing, I've found that the difference between success and failure often comes down to time management. So, I did some research into tools to help me schedule my time more efficiently, prioritize smarter, and hold myself accountable. And, I must say, I found some gems. 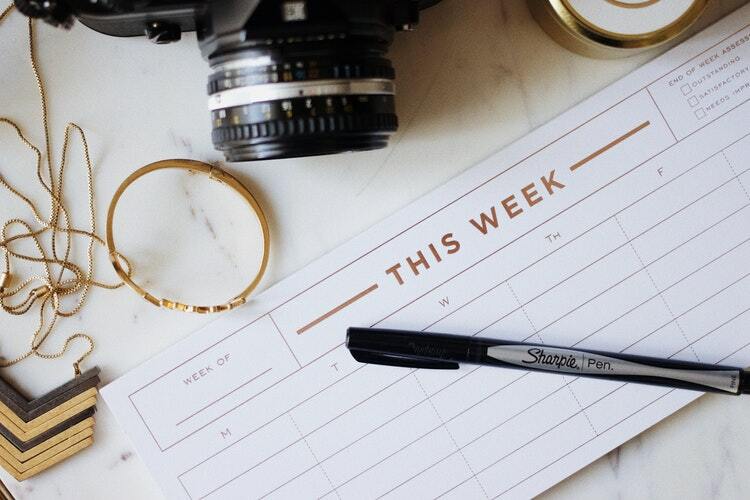 Many of the tools I found have a practical personal and professional use, and are ideal for busy marketing professionals looking to add some manageability and structure to their long to-do lists. Whether you’re trying to find more time in the day to work on your resolution, or just looking for ways to be more efficient at work, these 5 free digital tools are guaranteed to help you hack your productivity. Trello is a free program with a syncable web and app version, so you can take your to-do lists with you everywhere you go. Trello users create pages called “boards,” which they can keep private or share with teammates. Each board consists of a horizontal display of “lists.” Items can be added to lists as “cards.” When you click on a card you can view a description, comments, due dates, and anything else you could possibly need. The horizontal display is ideal for showing a project's timeline from ideation to completion as I did in the image above, but you can organize your tasks in whatever way makes the most sense for you. For example, if you have multiple team members, each team member can have his own list with all of his tasks beneath his name. Even better, you can also integrate other apps you currently use, like Dropbox or Evernote, to streamline your workflow. It’s free, but an upgrade to business class is available for $9.99/user/month. 135List is perfect for people like me who have trouble seeing the trees for the forest. The 1-3-5 Method tells you to write 1 big thing, 3 medium things, and 5 small things you want to accomplish with your day. This process causes you to consider your day, reconsider the enormity of certain tasks (making a phone call seems so much less daunting when it’s categorized as a “small thing”) and prioritize what your 1 big thing will be. Very Zen. It’s available in a browser and app version and is completely free. And upgrade is available for $2.50/month. RescueTime is a downloadable time tracking program. It constantly runs in the background while you use your computer, automatically tracks how you spend your time, and generates a report to give you a quantifiable picture of where your time goes. So, if you’re browsing on Facebook for 4 hours a day, there’s no hiding it from this program! By tracking your time automatically, RescueTime actually saves you the time of entering your activities into a manual tracker (though you can input or modify data manually if necessary). It can also block distracting sites during a specified period of time (bye bye work-time social media binges!) and lets you set a time for specified bursts of productivity. This is a free program, but a premium version is available for $9/month or $72/year. Focus Booster is a timer that utilizes the principles of the Pomodoro technique to boost productivity while minimizing burnout. The Pomodoro Technique says that humans are most productive in bursts of 25 minutes with 3-5 minutes breaks in between and a 15-30 minute break after 4 cycles. You can tell the timer what you’re working on during each cycle so it can automatically track and log your time. The time is then presented as charts and graphs to give you an at-a-glance overview of your productivity habits. This tool is available in a browser, downloadable, or app version and is 100% free. Paid versions that allow you to assign and invoice clients are available at $3 or $5 monthly. As someone who’s striving to develop and stick to a routine this year, this app is my new best friend. The goal of HabitBull is to help you stick with something for 66 days, which it claims is how long it takes to form a habit. As you complete a day, click on the interactive calendar to record it. The app tracks your success rate and other information like your longest string of successes. 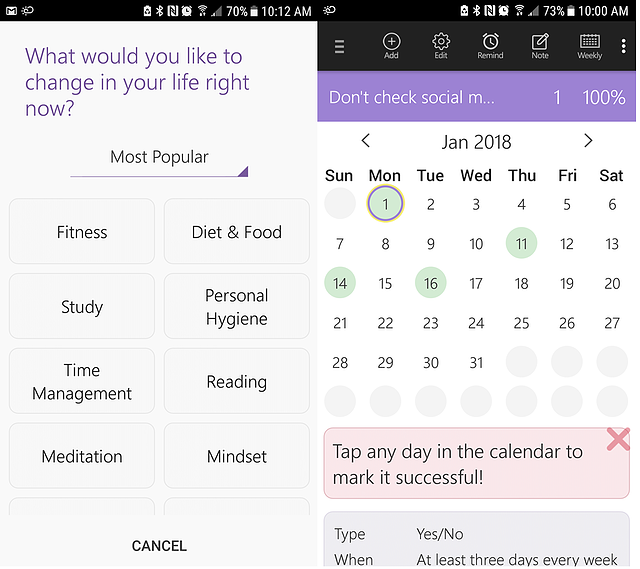 The app even includes a message board for interacting with other users with similar goals and daily inspiration quotes and images. Did I mention it’s completely free? Hopefully these tools will help you stay on track and stay productive in 2018. Best of luck to the new you in this new year. Hopefully we can make 2018 our most productive and accomplished year yet! 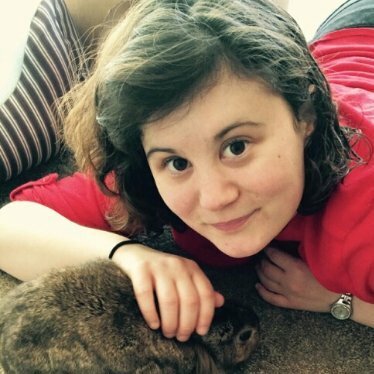 Jenna is a content writer at Stratus Interactive and is currently a graduate student studying for her M.A. in professional writing at Chatham University. She started blogging as an angsty high schooler and wrote and developed a blog as her capstone project for her undergraduate degree in English. Now she gets to do it as a job! See all Jenna Enright's posts.